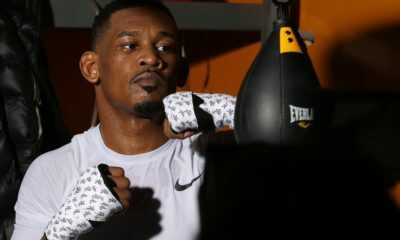 Sergey Kovalev (33-3-1, 28 KOs) earned a much-needed win on Saturday night to regain his WBO light heavyweight title after outpointing Eleider Alvarez (24-1, 12 KOs) in their highly-anticipated rematch in Frisco, Texas. 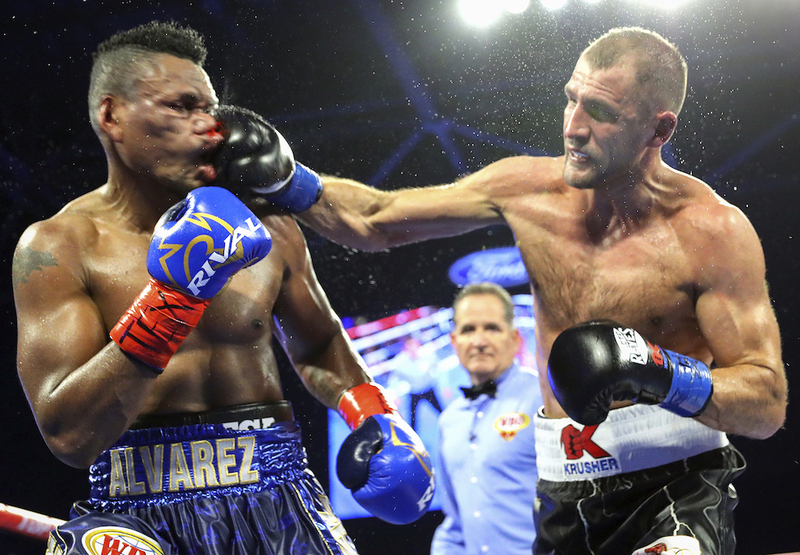 Last August, Alvarez stunned Kovalev with a seventh-round to capture a 175-title. After a string of underwhelming performances that saw Kovalev go 2-3 in his previous five fights, including three KO losses, many felt Kovalev was past his expiration date. Kovalev however, upgraded his corner by teaming up with trainer Buddy McGirt, and turned in a very impressive outing. Kovalev setup his right hands with the jab and didn’t leave himself open to many counter punches, unlike the first meeting with Alvarez. Alvarez appeared to be waiting and opting for single punches throughout the fight, never really getting started and appearing frustrated. Stamina didn’t appear to be much of an issue for Kovalev who despite slowing down slightly in the seventh and eighth rounds, got his second win and finished strong. The scores were 116-112, 116-112, and 120-108 in favor of Kovalev. “After this, I want unification fights,” added Kovalev. 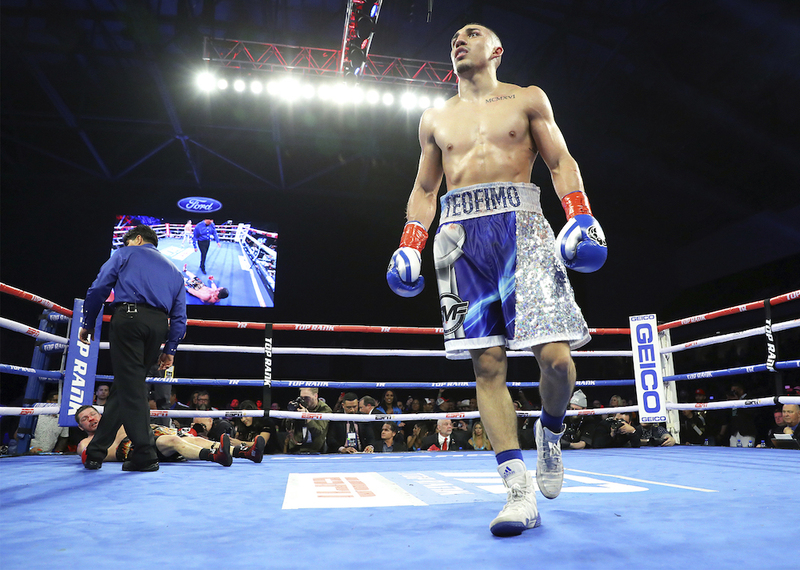 In the co-feature, rising prospect Teofimo Lopez (12-0, 10 KOs) brutalized former two-time titlist Diego Magdaleno (31-3, 13 KOs), en route to a seventh round knockout. From the start, Lopez was much too quick and strong for Magdaleno, landing thumping combinations that busted up Magdaleno’s nose. 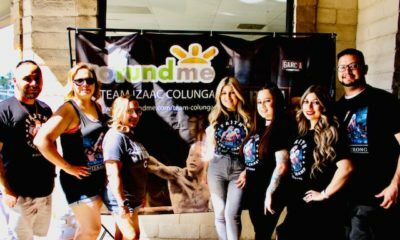 The beating only got worse as the rounds progressed and in the seventh, Lopez hurt Magdaleno with a left hook – Magdaleno looked out on his feet – while the referee allowed it to continue, giving Lopez another opening to connect with a second left hook that sent Magdaleno down. The referee began to count but shortly waived it off.